In Part 2 of this restrictive covenant article, we explore the much underutilised method of removing or varying restrictive covenants via a planning scheme amendment. 2. The fact that Council support for such amendments must be obtained as a first step, and if Council does not agree to prepare the amendment no appeal rights exist, and that is usually the end of the matter. A quick review of the planning scheme amendments that have gone before Panels Victoria since 1998 reveals that, in almost all cases, the proponent was successful in removing or varying the contentious covenant. As a result of the introduction of the Victorian Planning Provisions, all Victorian Planning Schemes now include Clause 52.02 Easements Restrictions and Reserves. Under the provisions of this clause, a planning permit is generally required to remove or vary a restrictive covenant (as discussed in Part 1) unless the removal or variation is authorised by the schedule to Clause 52.02. The schedule of Clause 52.02 in any municipal planning scheme generally includes, among other things: a list of land and the variations approved to the covenants affecting that land. So, a private land owner (the proponent) can request that Council prepare an amendment to the planning scheme to vary or remove a restrictive covenant affecting their land. If approved, a variation will be added to the schedule of Clause 52.02 and the restrictions contained within the covenant overcome. The process of seeking an amendment or variation to a restrictive covenant via an inclusion to the Schedule of Clause 52.02 is the same process generally undertaken by all other Council initiated planning scheme amendments. At this stage it’s prudent for the proponent to contact Council with a well prepared rationale and request support for the preparation of the proposed amendment. It is important to note that no appeal rights exist, and if Council refuses to support a proponent’s request, that is usually the end of the matter. If Council is of a mind to support the requested amendment, they are required to seek authorisation from the Minister (Department) to prepare the amendment. Under the provisions of the Planning and Environment Act 1987, the planning authority is required to prepare specific reports and items for public exhibition. This step ensures that all parties potentially affected by the proposed amendment are notified of the proposed change, and given the opportunity to respond. If submissions are made objecting to the form of the amendment, the matter will generally be referred to an independent panel. The purpose of the panel is to hear and review all submissions and provide independent advice to Council and the Planning Minister about the amendment and submissions referred to it. After receiving the advice of Panel (or completing public exhibition if no submissions received), Council may choose to either adopt the amendment or abandon it. If the amendment is adopted by Council, it is then sent to the Minister (Department) for approval and Gazettal. A request to remove/vary a covenant by way of a planning scheme amendment not only differs from planning permit and Supreme Court methods because of the different process required, but also because of the different tests and assessments that are relevant. As discussed in Part 1 of this article, a planning permit application to remove a restrictive covenant will normally be assessed against (inter alia) the perceived detriment test or material detriment test, depending on the date the covenant was registered on title. Unlike for planning permit applications, no explicit tests are contained within the Planning and Environment Act for assessing planning scheme amendments seeking to vary or remove covenants. Instead, more general guidance is provided within the Act and VPPs. The interpretation of these general provisions by Panels Victoria has resulted in what your author believes to be a lower burden than the perceived detriment and material detriment tests required to be met by planning permit applicants. g) to balance the present and future interests of all Victorians. 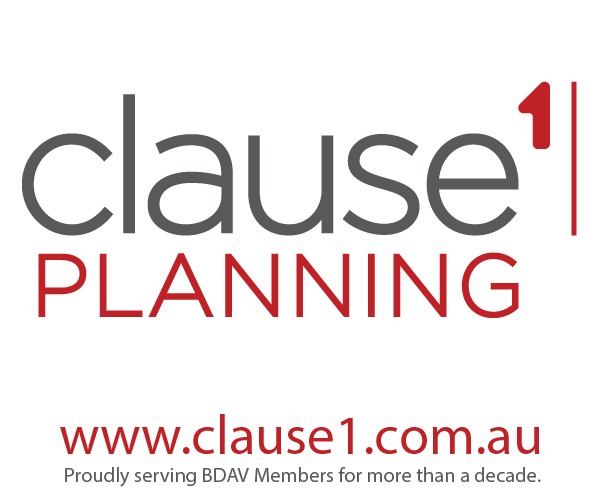 Section 12(2)(aa) of the Act provides that, in preparing an Amendment, the planning authority must have regard to the Victorian Planning Provisions (VPPs). It is this reference to the VPPs which has substantially influenced the manner in which scheme amendments have been assessed most recently. Prior to the implementation of the new format planning schemes, it was widely accepted that, to justify the variation or removal of a restrictive covenant by way of planning scheme amendment, it must be demonstrated that the request will produce a “substantial community benefit.” This test evolved essentially to fill a perceived vacuum created by the absence of any express criteria in the pre Victorian Planning Provision format legislation and planning schemes. It is the State Government’s expectation that planning and responsible authorities will endeavour to integrate the range of policies relevant to the issues to be determined and balance conflicting objectives in favour of net community benefit and sustainable development. The removal or variation of easements and restrictions to enable use or development that complies with planning schemes after the interests of affected people are considered. 1. The Panel should be satisfied that the Amendment would further the objectives of planning in Victoria. The Panel must have regard to the Minister’s Directions, the planning provisions, MSS, strategic plans, policy statements, codes or guidelines in the Scheme, and significant effects the Amendment might have on the environment, or which the environment might have on any use or development envisaged in the Amendment. 2. The Panel should consider the interests of affected parties, including the beneficiaries of the covenant. 3. The Panel should consider whether the removal or variation of the covenant would enable a use or development that complies with the planning scheme. 4. Finally, the Panel should balance conflicting policy objectives in favour of net community benefit and sustainable development. If the Panel concludes that there will be a net community benefit and sustainable development it should recommend the variation or removal of the covenant. A review of Panel recommendations over the last 10 years indicates that Panels will generally support a variation or removal of the restrictive covenant by way of amendment to the Planning Scheme if the Panel is satisfied that it enables a use or development to proceed that complies with the Planning Scheme which would result in a net community benefit without unreasonable detriment to affected parties (including beneficiaries). For more information or advice relating to a specific project contact Clause:1 on (03) 9370 9599. In the next instalment of this article we will look at the tests and processes associated with removing/varying a restrictive covenant via a Supreme Court Application.